Any persons wishing to increase on this offer should notify the agents of their best offer prior to exchange of contracts. 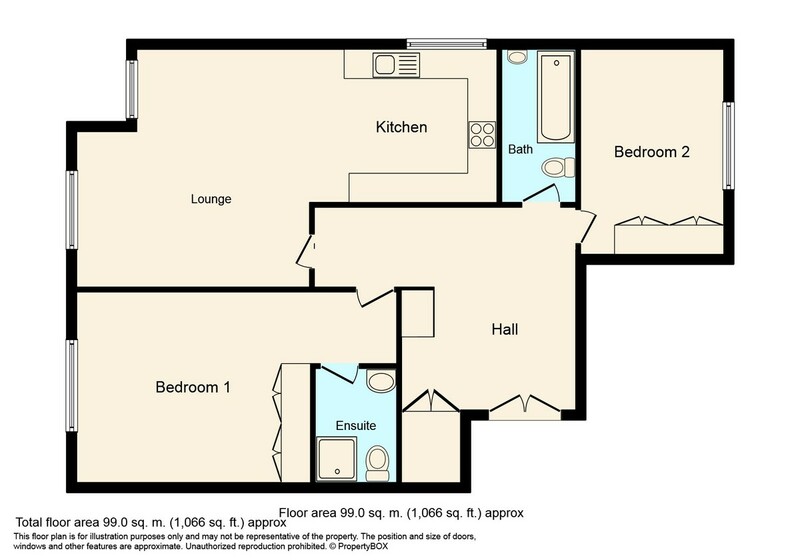 LOCATION A spacious, modern apartment located only a short walk from Horsham town centre. The mainline station is also a short walk away and has direct access to London Victoria and London Bridge. Major road networks nearby include A281 and A264 which gives access to M23 and M25. PROPERTY This modern apartment is located within close proximity of both Town and Station and would be ideal for investment having been let out for the past few years. With a secure telephone entry system and the front door opening to a communal area, the property boasts two generous double bedrooms the master with built-in double wardrobe, bathroom suite with shower attachment over bath, and a spacious open plan kitchen/living space ideal for entertaining. OUTSIDE To the outside is communal grounds and communal parking area in addition to a useful bike store.